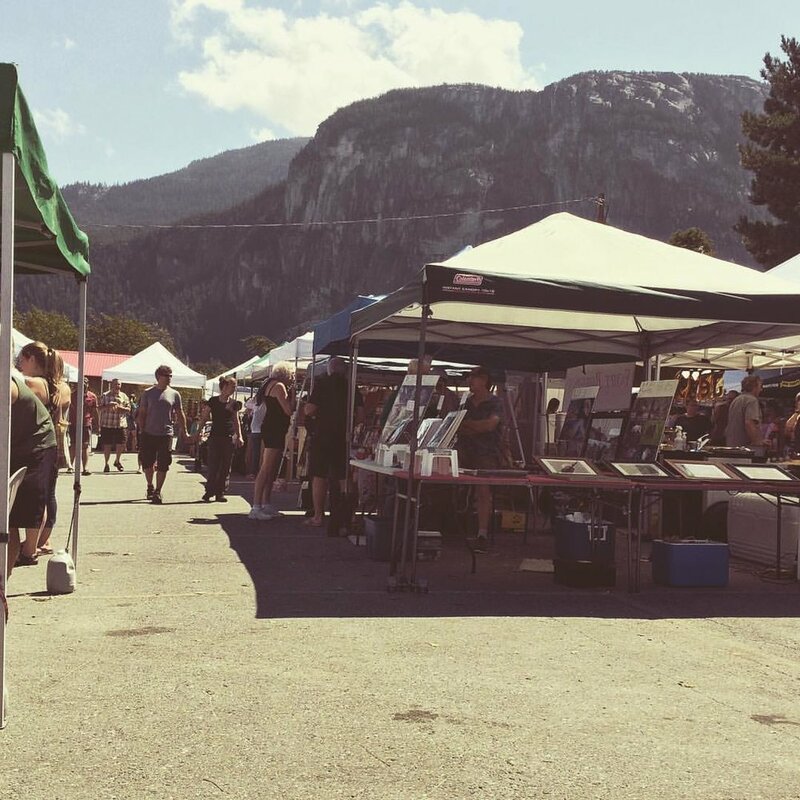 The squamish farmers market association is proud to be celebrating its 15th year operating great summer markets in the beautiful downtown Squamish core, with the second largest piece of granite in the world, the Squamish Chief, as our backdrop. With great thanks to our loyal customer and amazing vendor support, Over the years we have grown from just a handful of vendors to becoming a venue that supports up to 60 vendors, local musicians, and activities for the community during an extended summer season that runs from the beginning of April to the end of October. Sea to Sky farmers work tirelessly to bring you fresh fruit, vegetables, eggs and meat right to the end of the year. Our winter market moved to the Squamish Adventure Centre in 2017 and runs from November to December. Local artisans also offer their labours of love inside the facility. From January to March, our vendors take a much-deserved break to prepare to return with fresh, locally-made , baked, or grown goods to us again in April!